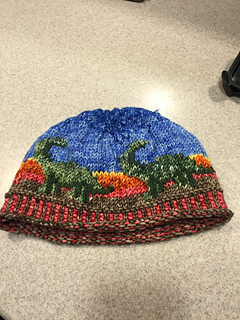 Inspired by my nephew’s love of dinosaurs, I set out to create a colorful hat for children to proclaim their love for prehistoric creatures. 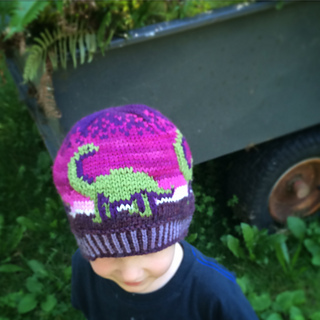 Dino Topper features stranded knitting in the round starting with a corrugated rib brim. 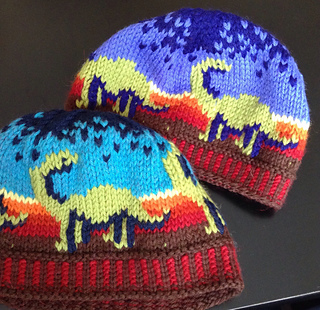 Duplicate stitch is suggested to avoid the longest floats and to use just two colors per row. 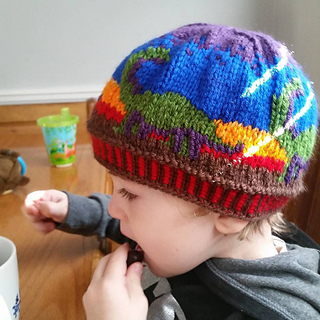 Yarn: Wool is strongly recommended for this hat so that blocking will work its magic, making your hat a smidge bigger if necessary and smoothing out duplicate stitch. Gauge: It is very important to meet gauge or be able to calculate adjustments. The motif continues into the crown decreases so nearly the entire hat is charted. 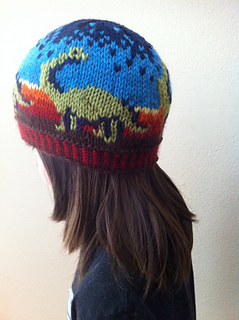 Size: This pattern is written for a child’s 19-21” (48-53cm) head circumference. I’ve included modifications for a slightly larger size to accommodate a slightly larger head size, as the written size was just a bit too snug on my son’s melon 21.5” (54.6cm). 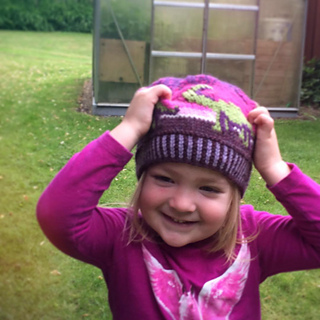 Important: This is atypical stranded knitting where floats are long but the finished hat is worth it! 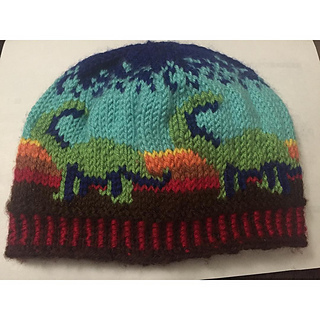 Techniques: knitting in the round, two-color stranded, color-coded chart (decreases written and charted), duplicate stitch OR three-color stranded, corrugated rib (optional).